If you want to make money as a rental investor, you need a tried-and-true rent collection process that is proven to work. In a perfect world, every rent check would clear, and you would never have to deal with tenant conflict. Unfortunately, that is not reality. Being a landlord is a complex job, full of risk. It’s not as easy as receiving payment on the first of each month, then watching your profits steadily increase. At Real Property Management SAC-METRO, we know what is required to make you a successful and profitable landlord, even through the ups and downs that come with owning a rental home. A disorganized approach to leasing leads to trouble down the road. 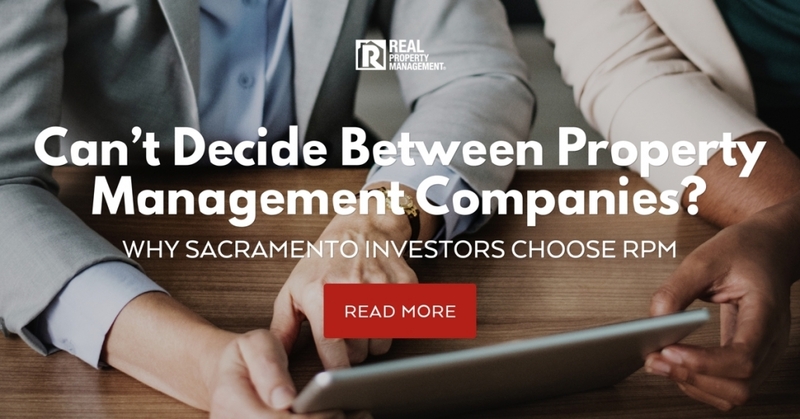 When choosing between property management companies, Sacramento investors need to select a company that understands how the rental industry works. At Real Property Management SAC-METRO, we know what is required to make investors succeed. Use an Aggressive Marketing Strategy – Nothing hurts your cash flow more than an extended vacancy. Every day your home is vacant hurts your bottom line. When marketing your rental, a yard sign is not enough to get your listing out to the masses. Real Property Management SAC-METRO posts your home on a variety of websites and social media sites. Also, our technology-driven marketing plan allows potential tenants to view online a virtual showing of your home, see high-quality images of the interior and exterior, and visit our webpage to schedule a live showing. We strive to attract as many applicants as possible to give our landlords the best chance of finding well-qualified tenants. Conduct a Thorough Tenant Screening – Selecting the right tenants is a critical component of the rent collection process. Your profitability and success as a landlord hinges upon finding quality tenants. Poor tenant qualification increases your odds of running into payment delays, property damage, tenant conflict, or even an eviction. At Real Property Management SAC-METRO, our rigorous tenant application is designed to help you avoid lost revenue. We verify income and employment, plus conduct a credit and criminal background check. Construct a Concise Contract – A well-written lease contract is imperative. A rental agreement should clearly outline tenant responsibilities versus landlord duties. You want your tenants to know upfront your expectations of them and what they can expect from you. We make sure to list information about property care, maintenance standards, and what happens if tenants pay rent late. Utilize Technology – There are many differences between property management companies. Sacramento tenants and landlords have many options but should be aware that not all companies offer technology-driven processes. In today’s digital world, Real Property Management SAC-METRO utilizes the ease and convenience of technology. Tenants can pay rent and submit maintenance requests all through a personal online portal. Landlords also use an online portal to view financial statements, track monthly payments, review work orders, and see tax documents. Plus, since rent payments are made electronically, funds are ACH direct deposited making them available sooner to landlords. Have an Automated Collections System – Another way Real Property Management SAC-METRO takes advantage of technology is by using an automated collections process if rent is not paid on time. Missed payments trigger our system to send out notices that work to resolve the matter. But it is important for landlords to be cautious of how they move forward with contacting tenants and collecting a late payment. Landlords must comply with certain regulations to avoid legal consequences. Our in-house legal team understands the law and makes sure our landlords follow all applicable regulations regarding the collections process. Be Prepared – Even the best tenants can run into financial trouble and leave you without incoming rent payments for an unknown amount of time. If you have to pursue an eviction, the process is long and expensive. Unfortunately, it’s one of the risks of owning a rental property though. Being financially and emotionally prepared to deal with difficult situations sets you up for success. Real Property Management SAC-METRO offers guidance and assistance to help you weather any storm. Being a rental property owner is a 24/7 job, with no weekends or holidays off. Our rent collection process is designed to relieve you of those everyday demands. Leave those 2 AM emergency maintenance calls to us. Learn more about our hassle-free approach to property management. Put our comprehensive list of services to the test. Call Real Property Management SAC-METRO today.